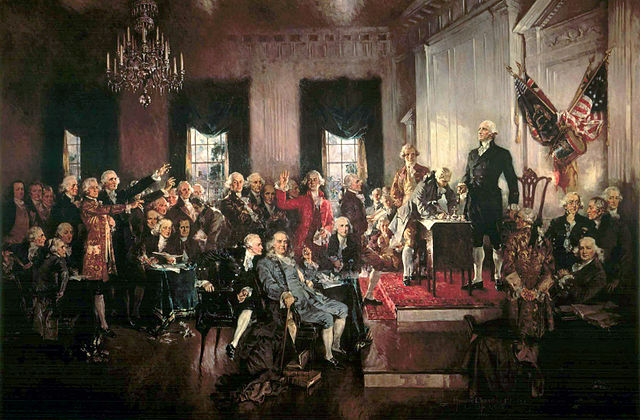 Signing of the U.S Constitution at Philadelphia Convention (public domain image on Wikipedia). Three of our most treasured documents are associated with Pennsylvania: the Declaration of independence and the United States Constitution (both executed in Philadelphia), and Lincoln's Gettysburg Address. Pennsylvania's state song mentions the state nickname in the second verse: "Birthplace of a mighty nation, Keystone of the land." A keystone is also featured on the U.S. Mint's Pennsylvania quarter. The word keystone is from architecture, it describes the central wedge-shaped stone in an arch which holds all the other stones in place. Pennsylvania became the second state in 1787. 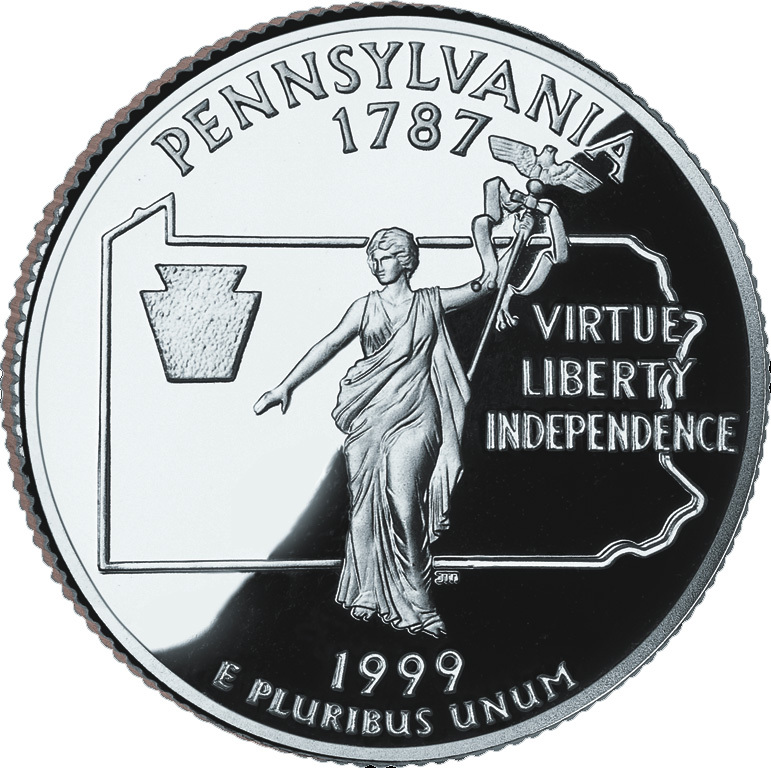 The U.S. Mint's bicentennial commemorative quarter for Pennsylvania's features an outline of the state, a keystone (Pennsylvania's nickname is the keystone state), a statue representing the commonwealth, and the state motto: "Virtue Liberty Independence" (public domain image on Wikipedia). 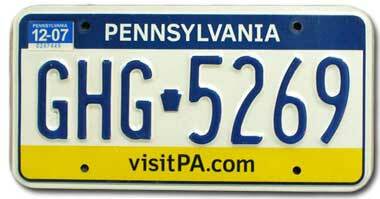 Blue and gold Pennsylvania license plate featuring the "keystone" symbol; photo by Norm Russo (used by permission).